A cat’s independent streak is a natural instinct. Most wild cats explore and stalk prey alone. 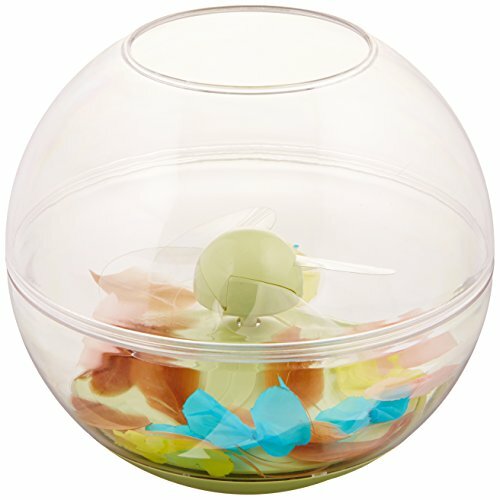 The Flitter Fly electronic whirl and catch wind toy blows toys around bowl with gentle variable speed fan to stimulate them to action. The addition of catnip adds to the excitement. Petlinks products connect to how people and pets live and play together. Petlinks is known for innovative, solution-based and environmentally responsible products that fulfill all of your pet’s needs — from play and interaction to rest and privacy and more. A member of the Worldwise family of pet products, Petlinks is grounded in the principles of pet safety, customer satisfaction, and environmental responsibility. Petlinks products are designed to meet or exceed all applicable safety standards. They are then tested against those standards to ensure they meet our strict quality and safety requirements – ensuring they’re safe for all members of your family. Petlinks offers a complete satisfaction guarantee. If a customer is dissatisfied with a Petlinks product for any reason, they will replace it or refund it — no questions asked. Since 1990, Worldwise and its brands have been committed to using environmentally responsible materials in its products. Whenever possible, Petlinks products are made with recycled, reclaimed, organic, and sustainable materials. If you have any questions about this product by Petlinks, contact us by completing and submitting the form below. If you are looking for a specif part number, please include it with your message.